Individual counseling is available for individuals, couples, teens and children. Coping strategies may be learned and practiced to reduce stress, increase joy and life satisfaction. Next Chapter helps individuals stabilize and move past those life issues that can serve to paralyze and increase stress. 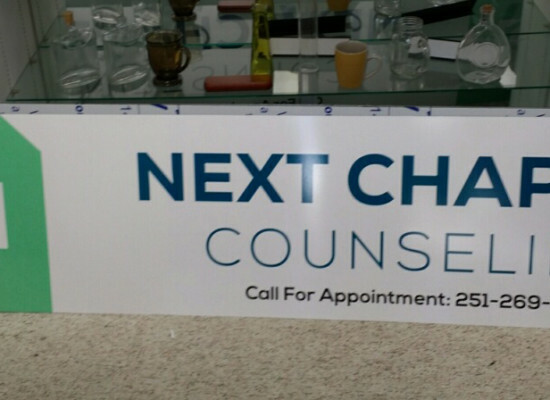 Next Chapter schedules group sessions on a quarterly basis for Substance Abuse, Anger Management and Grief and bereavement. Groups meet weekly for 8 weeks. We provide individual counseling and education for the issues leading to Substance abuse and for the addictive behaviors learned during the course of addiction. For those with PTSD, we use CBT and other preferred methods to aid in reducing hyper-vigilance, avoidance and reliving the event. Think it's time for a new chapter? Get answers to some common questions.